The current owner of the Los Angeles Marathon, Frank McCourt is an American businessman who also serves as the President of the McCourt Group. From 2004 through 2012, he served as the President and owner of Dodger Stadium and the Los Angeles Dodgers. As of 2012, Frank McCourt's net worth is estimated to be around $1.2 billion. Originating from Boston, Massachusetts, Frank McCourt finished his economics degree at Georgetown University. For quite a long time, his family was involved in construction and real estate. In fact, Frank was once a real estate developer in Boston before he has acquired his controlling shares of Los Angeles Dodgers from the Fox Entertainment Group. He purchased the Los Angeles Dodgers for $430 million from Rupert Murdoch who owned News Corporation. His then wife Jamie later became the Dodgers' CEO, making her the first female CEO of an MLB team. However, in October 2009, it was reported that Frank and Jamie were getting a divorce. 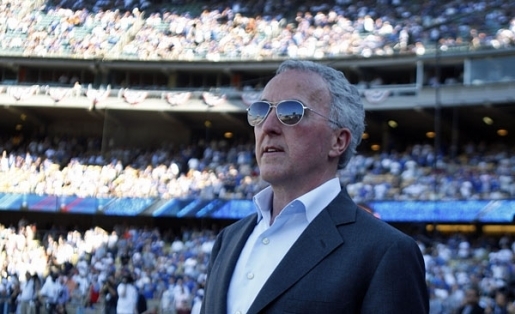 When the Dodgers were eliminated from the Playoffs in October 22, 2009, Jamie was immediately fired as the CEO of the franchise. Frank McCourt accused her of having an affair with her driver. In October 2011, the two parties agreed that Jamie would receive $130 million and she would relinquish any of her rights to the Dodgers. Their divorce was considered as the most expensive divorce settlement in California.